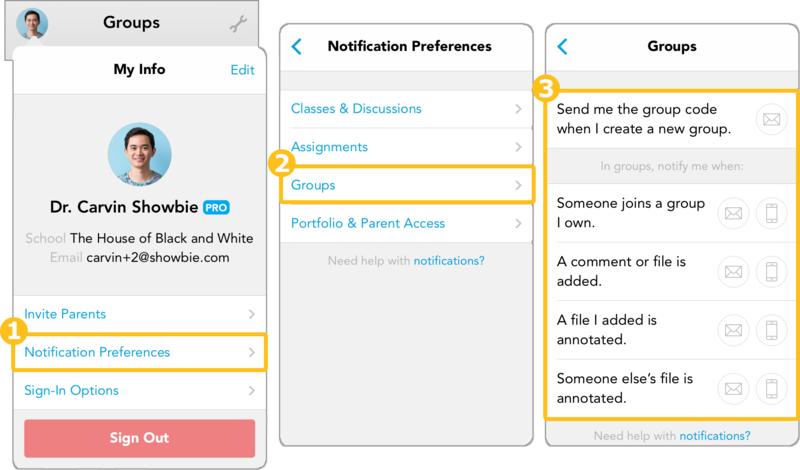 We’ve added more notification settings to help you stay on top of things in Showbie! 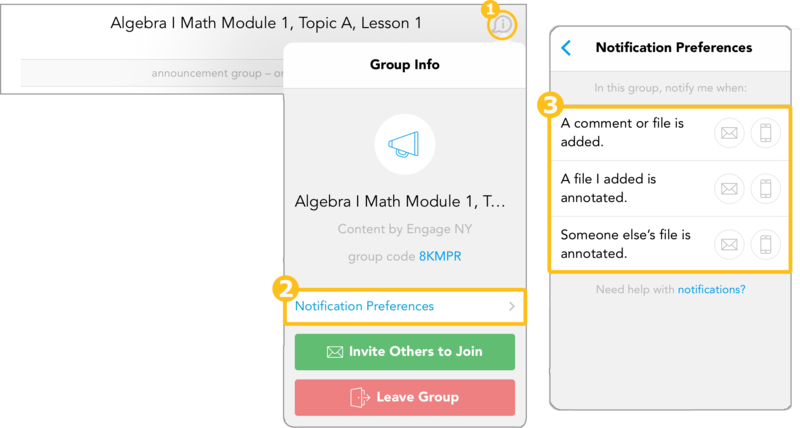 Now you can choose to turn off all notifications from groups except specific groups! Editing your notifications from your profile settings means that you’ll receive notifications from all your groups. Adjust your notifications by choosing whether you want to receive email or push notifications – blue means it’s turned on! Adjusting specific group notifications means you’ll only get notifications from that specific group. You can choose whether to receive email and/or push notifications by tapping on each icon – blue means it’s turned on!